Its popularity comes as no surprise: not only is spinach nutritionally good for us but its incredibly versatile in its culinary application. Spinach belongs to the ‘amaranth’ family along with beets, Swiss chard & quinoa & is native to central & western Asia although it’s now grown all over the world with China & The US being the leading growers. It’s no secret spinach is loaded with nutrients & antioxidants – we’re taught this from a young age. 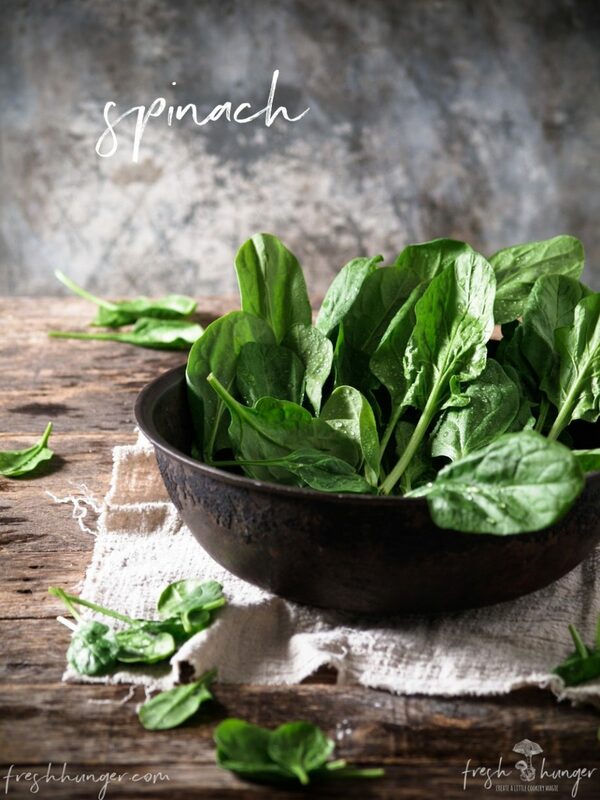 One of the many health benefit claims of spinach is its anti inflammatory powers – meaning it (supposedly) can reduce inflammation – making it good for not only your heart but can also ease inflammation & pain that comes from arthritis. While spinach’s health claims are lengthy, what we love about it is its versatility: use spinach in soups, stews, stir-fries, pasta, risotto, curries, sauces, pastries, side dishes, egg dishes, stuffing, salads, juicing & smoothies. We couldn’t think of another vegetable that had quite as many culinary uses as spinach. Raw, its flavor is so mild you can sneak a handful into a smoothie & the kids won’t even know it’s there. And growing spinach is relatively easy. It can be sewn early, as soon as the ground starts to thaw, making it one of the earliest vegetables to harvest from a home garden. Almost all spinach varieties don’t like the heat so it can be planted in partial shade & in the cooler months – spring & autumn. Spinach is fast growing – good news for the impatient gardeners. So get your spinach seeds planted now & soon you’ll be picking tender young leaves from the plants to enjoy in these delicious spinach recipes: a quick & easy pasta – Tortellini with Spinach, Artichokes & Sundried Tomatoes; Spinach & Ricotta Stuffed Pasta Shells; Goat Cheese & Spinach Stuffed Chicken Breasts; Roasted Pumpkin, Spinach & Cranberry Salad & Artichoke, Spinach & Feta Frittatas.